Gears of Halo - Video game reviews, news and cosplay : Not sure if this guy is a Halo fan? I'm not sure if this guy likes Halo or not. What do you think? 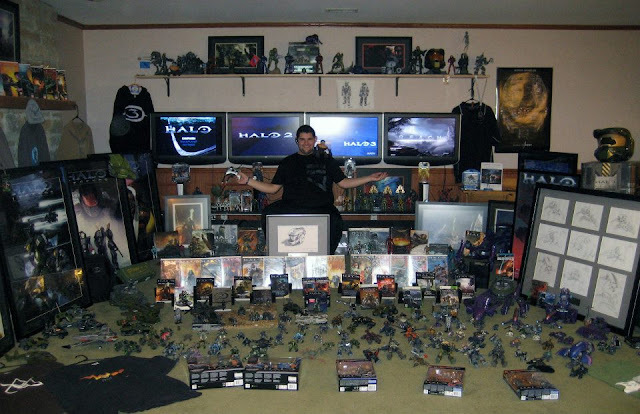 Is he a Halo fan or a Halo Fan? Better question is: is he a dilettante still living in the basement? 'Cause he sure didn't get a college/university degree with that! Plus, any real fan would have the Halo MegaBloks stuff too.